1. Break chocolate into pieces and place in microwave for 1 minute increments until melted. 2. Dip each Ritz cracker into chocolate and place wax paper on cookie sheet. 3. 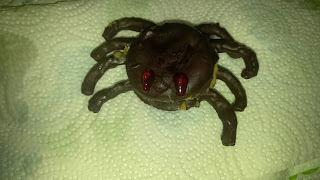 Break apart each pretzel to make spider legs, approximately 48 leg pieces. Coat in chocolate and place on wax paper. 4. Freeze crackers and pretzels for 15-20 minutes. 5. Remove from freezer. Spread a thick peanut butter layer on the inside the 6 crackers. Next, insert 8 legs on the cracker. Top with cracker. 6. Place 2 red gel dots for eyes on each cracker top. 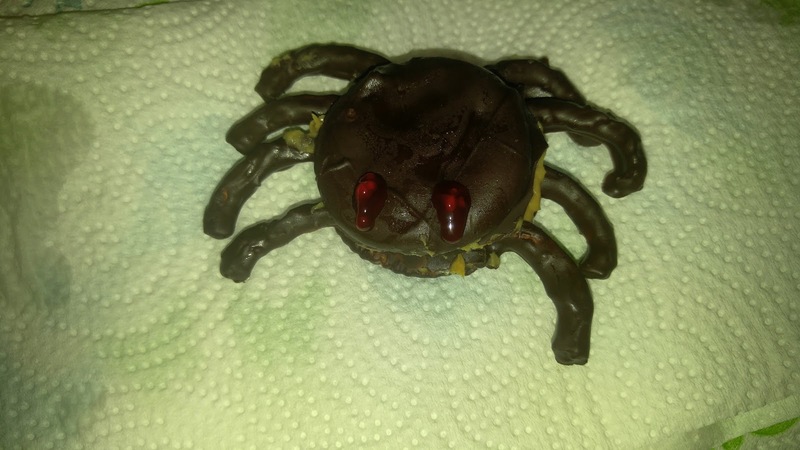 You now have a Spooky Spider Treat!! Enjoy! !